Codling moth degree day (DD) accumulations since biofix range from about 1660 in Henderson County to almost 2000 in Cleveland County, which coincides with second generation egg hatch of about 30% and 70% completion, respectively. In orchards not using mating disruption, an insecticide application effective against codling moth (Altacor or Delegate, whichever was NOT used against the first generation) should have been recently applied. Overall codling moth pressure has been fairly low in most orchards, so a single application is probably sufficient in many locations. If you are unsure of your population density, two applications at 14-day intervals are recommended. 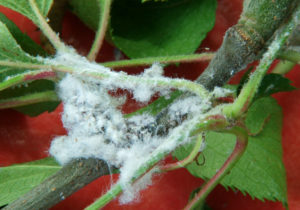 In orchards with very low codling moth pressure, as documented by low pheromone trap captures, other insecticides may also be considered, including Assail and Intrepid. In orchards using mating disruption, insecticides targeting second generation codling moth are generally not needed unless pheromone trap captures indicate so – cumulative trap capture over successive weeks of >3 moths per trap. Oriental fruit moth (OFM) populations are increasing across many locations. This is typical for this time of the year, and in the absence of mating disruption, populations often continue to rise into September. In past years monthly applications of sprayable OFM pheromone have been recommended to manage these late season surges, with the first application in late July to mid August, depending on population pressure. However, since the appearance of the BMSB and use of pyrethroids in August and September, OFM has become less of an issue, because pyrethroids used for BMSB are highly effective against OFM. 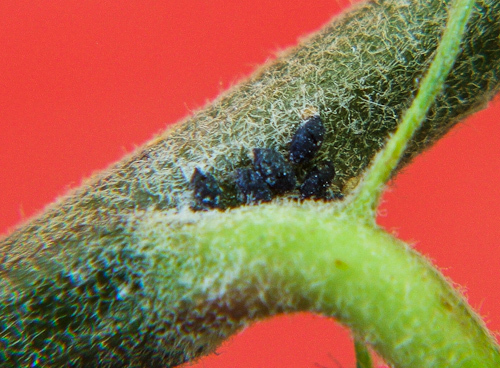 First generation brown marmorated stink bug (BMSB) adults are active in lower elevation orchards (<1500 ft elevation). Trap captures have been moderately high in Polk and Cleveland Counties, so a pyrethroid or neonicotinoid (Actara, Venom or Scorpion) may be necessary in these areas. At higher elevations, such as Henderson County, first-generation adults have not yet emerged and pheromone trap captures remain very low. However, based on temperature forecasts and degree-day model predictions, the first adults are expected to begin emerging next week. To avoid early damage on highly susceptible varieties, such as Granny Smith, a BMSB spray (pyrethroid or neonicotinoid) should be considered at that time. The largest period of adult emergence, and greatest potential for damage, is not expected for another two weeks. 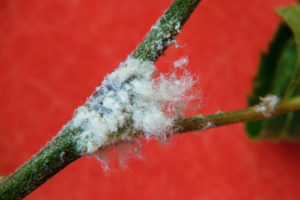 In recent years woolly apple aphid has become a more common occurrence throughout the region, likely due to increased pyrethroid use associated with BMSB. Now would be good time to begin scouting for this insect. There are very few insecticides with good knockdown activity; in fact Diazinon 50WP (the only formulation registered on apples) is perhaps the only dependable product for WAA at this time of the year. However, please note that it has a 4-day REI (re-entry interval) and a 21-day PHI (preharvest interval). A word of caution – predicting WAA population pressure based on last year’s situation is not a reliable system. WAA populations are known to fluctuate widely from year to year. High populations in one year often lead to high densities of the parasite Aphelinus mali, which can provide very effective biological control the following season. 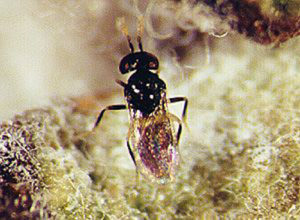 Hence, preventive insecticide applications are not recommended for this pest.